We have until January 6 to complete the Help an Elephant CrowdRise fundraiser for Wildlife SOS that will help rescue Suzy and all of India’s circus elephants. 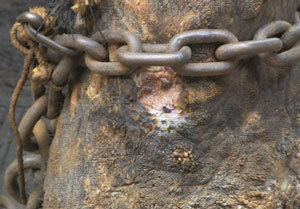 The 67 elephants need your help now to get them to elephant rehabilitation centers and camps. Can you spare $25 or even just $10 for this worthy cause? Take just a minute now to learn more, make your donation and see your name on the list of valued contributors. Update January 14, 2015: Congratulations to Help an Elephant on raising $175 for this CrowdRise fundraiser. Overall, Wildlife SOS came in 3rd place which includes a $25,000 bonus donation. Their total was over $143,000 raised for this worthy cause. Update February 5, 2015: Even more good news… Suzy has been rescued! That’s one down and 66 to go. Please continue to support this incredible rescue mission. This entry was posted in Advocacy, Fundraising and tagged circus, elephants, fund raising, Help an Elephant, India, rescue, Suzy, Wildlife SOS on January 2, 2015 by johnshepler.